With Extreme Rules coming later tonight, it’s about time (after four weeks, I know) that I reflected on this year’s WrestleMania, which did not have the most auspicious of beginnings. Last time out I said I was “hopeful that some exciting TV” would come out of the post-Rumble mess on the road to the Showcase of the Immortals. Alas, the build-up was fairly weak, despite all the potential being there. Now calm down, I will be fair; there are some improvements on the first one, which I hated with a burning passion. The awful ‘witty’ dialogue has been toned down for the most part. The treatment of the characters is more sympathetic to their solo adventures, if not canon. The Hulk, written backwards from one of those oh-so-witty lines in the first film, is redrawn here as the classic tragic child-in-a-monster’s-body; Hawkeye is not the one from Matt Fraction’s superlative comic run, but at least gets a respectful role in the story. A bravura performance by Timothy Spall this undoubtedly has, but as a film, Mike Leigh’s Mr Turner is a flawed masterpiece. As I see it there are two ways you can do biographical drama: identify a theme and use events of the subject’s life to illustrate that and tell a specific story (a la Milos Forman’s Amadeus), or simply retell the events of that life in succession. Leigh opts for the latter, and the result is like a diary flailing for a story, and missing out on the stuff we really care about when it comes to JMW Turner: the bloody art, like! The DUFF is a nice surprise: a film I fully expected to be awful, judging by the try-hard social media marketing campaign, and the ‘Hottie and the Nottie’ implications of its central conceit. But it’s actually a pretty funny, well-done contemporary take on those risque ’80s teen comedies we look back on with such fondness. Starting from a fairly crass premise, the film moves through a series of set-piece high-school cliches in lieu of a plot, but they’re cliches because they work, and there’s enough modern riffing and stereotype inversion to set it apart from straight pastiche. Plus there’s the versatile Mae Whitman (the voice of Katara in the fantastic Avatar animated series) in the lead as the so-called Designated Ugly Fat Friend of the title, gracefully walking that line between sensitivity and silly comedy, and who by all rights should be destined for better things. Millions spent but are our streets more cycling friendly? 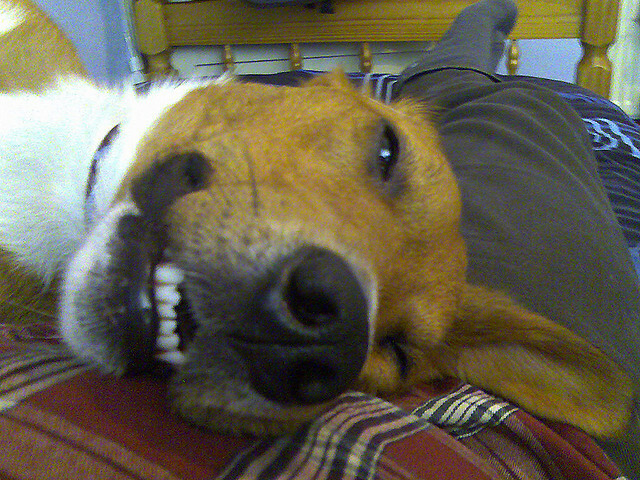 This is Jack, a few months after my mam adopted him from Dogs Aid in 2007. His first owners must have lived locally; he ended up at the sanctuary after he was hit by a car and treated at the vet on Raheny Road. His hip was messed up but the vet did a great job, and though we knew he’d get arthritis when he was older it never really gave him much trouble.